This is a Sponsored post written by me on behalf of McCormick & Company. All opinions are 100% mine. Interested in trying out one of the homemade classic recipes from McCormick.com? Please comment below and tell me what your favorite spices are to cook with! 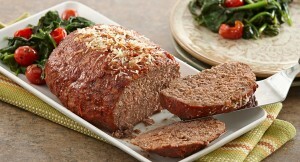 Check out the Italian Meatloaf Receipe below! We made it last night for our family dinner at it was yummy! Even my little picky eater ate it up! Plus it was super simple with only 10 ingredients – most of which I am sure you already have in you kitchen right now! We used all the traditional McCormick spices to get the flavor just right! Parmesan cheese, McCormick Italian Seasoning and tomato sauce add Italian flavor to homemade meat loaf. Serve with pasta tossed with butter or olive oil and Parmesan cheese and you have the perfect family dinner just like from when you were a kid! Here is what it looked like when we were all finished! It tastes as good as it looks! I am sure it was the spices, of course! We love garlic around here! Black Pepper is my favorite. 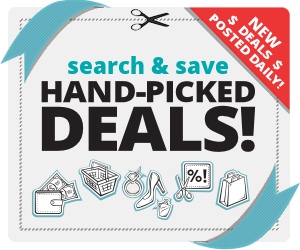 I love McCormick spices– my favorites are ground cinnamon, black pepper, garlic, and pumpkin pie spice. The Garlic Powder is my favorite. I use it quite a bit. Garlic Powder! use it all the time! I love their chili powder! The meat loaf recipe looks good. I’m going to have to try it. I would love to try the pasta primavera recipe! I love their garlic powder. Chili Powder is my favorite. My favorite is the Garlic Powder. Daily entry for 10/18 Thanks for the giveaway! I have not made a meatloaf in forever. I really should try this recipe. I haven’t tried many of them but use the Garlic Powder in just about everything! If I win I’ll be dropping this off at a friend’s house who loves spices but doesn’t have many! I love the garlic powder. I am a firm believer that most meals can be improved with garlic. I really like mixing together the garlic and onion powders to go in all of my cooked recipes. I like mccormicks curry powder. My favorite McCormick spice is currently their California Style Garlic Pepper with Red Bell and Black Pepper! Just adding this too, if you haven’t tried the dry rubs yet, you definitely should – the Tennessee Smokehouse BBQ Rub is to die for!